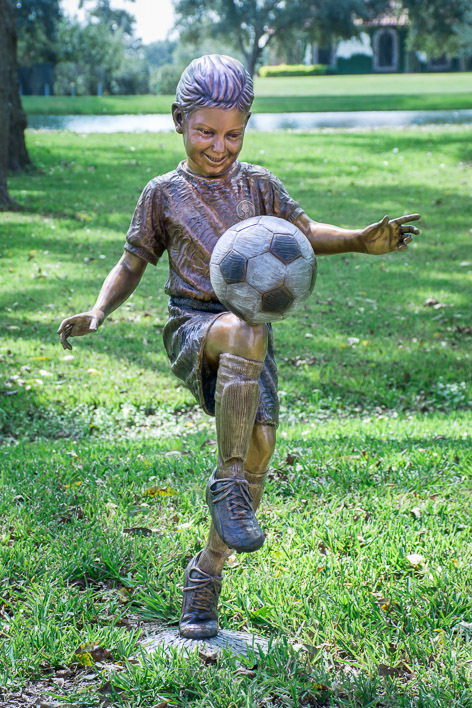 This sculpture has a tremendous amount of motion and energy and still she maintains a graceful balance as she knees the soccer ball. So many of us have the fun opportunity to be active in soccer leagues in our youth. Not many of us go further than these young leagues but the memories of being part of a team influence us forever.